Join the world’s first Genius Camp here in Queensland for students who want to discover their unique talents, passions and purpose! 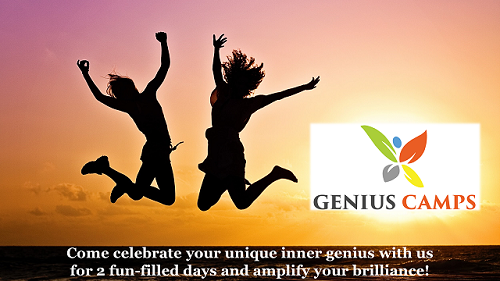 Attend a fun-packed, 2-day event where you will discover your true genius and natural pathway to success. You will leave this micro-camp knowing what makes you truly unique and how you can make a difference in the world. Space is limited to 25 Genius Campers and spots usually fill up super-fast. What’s included: Your Talent Dynamics for Young People profile report, Genius Camp T-shirt, handbook, workshop materials, certificate of achievement. What to bring: Bring your lunch and any snacks that you love to eat. Light refreshments will be provided. 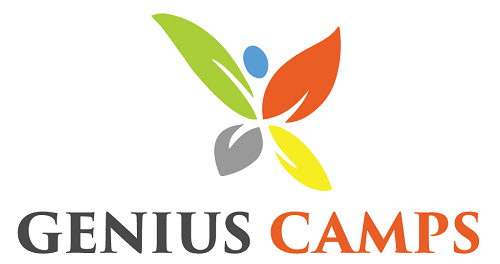 Genius Camps offer child-centred, personalized learning pathways that ignite the natural genius in young people, creating self-aware, lifelong learners. Without personalized learning pathways, learning can often be disengaging, irrelevant or redundant. It is easy for children to become disillusioned, question their own abilities or lose motivation. Our Genius Campers identify their genius, recognize their unique strengths, connect with their passions and start to explore a purpose for their life. They are encouraged to think beyond what is taught in school, and explore opportunities beyond traditional jobs. They look at what is possible as a leader, as an entrepreneur, and explore examples of social enterprise. Many of the jobs around today will not be around in 5-10 years’ time. We’ll share some amazing stories of young entrepreneurs who have been super successful, and how they’ve achieved their success. We’ll share how you can apply their journeys to your own and establish your own goals for success. The first ever Genius Camps have already happened in Bali, New Zealand, Thailand, United Kingdom & USA and we are launching here in Australia. We have created these events in partnership with Entrepreneurs Institute’s Genius School in response to the growing global demand to revolutionize education. Entrepreneurs Institute has a network of over 2,000,000 entrepreneurs worldwide and is passionate about reimagining education and helping to develop our young people with increased leadership, entrepreneurial and emotional intelligence skills that will lead to their success in our global society. This is the opportunity for the Genius Campers to learn about their path of least resistance to success in life, how they learn best and how to use those strengths to help them achieve their goals not only in school today, but also throughout their lives. We dive deeper into how our Genius Campers own who they show up as in the world and as leaders in their school and communities. We will teach them how to leverage the team around them through focusing on and valuing the genius in each other camper. We create an opportunity for the Genius Campers to work together to give back to their community in a meaningful way. We also share with the parents and caregivers what the Genius Campers have learned and how they can continue to support them through understanding their path of least resistance as a student and future leader. Our Genius Campers will walk away with the confidence of knowing who they are, how they can follow their flow and succeed in life, having had so much fun learning and growing all while making friends that will last a lifetime! Our families will walk away with a new language of communicating and new way to support and get the best out of their children! The program is open to all young people between the ages of 12 and 15 who want to celebrate their unique genius, spend time with other teens to find out what is important to them. The program focuses on recognizing individual strengths and setting everyone up to succeed. Whether you feel limited by school, want to explore starting a business of your own, or simply want to know more about your learning style and grow in confidence, this is an opportunity not to be missed. 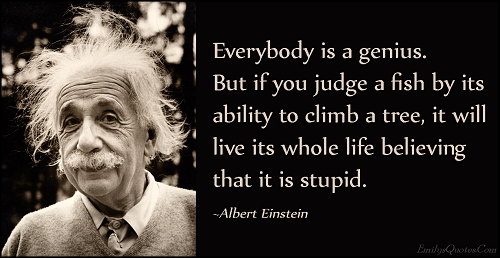 Discover your true genius and see how it differs to other types of genius. Understand why you find some things easy and other things not so easy, and why you learn differently from others. Have a fun-packed 2 days, meeting other teenagers and sharing your individual journeys. Explore everything from how different genius types can make school work for you, to how different people find success and love what they do beyond school. Explore your passions and what you really want to do with your life. Determine your vision and direction. Grow your confidence in dealing with other people – and with life! 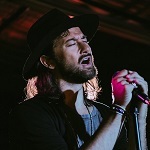 Find out about an amazing concept called flow, learn how to get into flow, and how to stay in it, so you can learn better and focus on what you really enjoy. Have your parents attend a parent session so they can understand your genius profile, what it means to be in flow, and help you to find your natural path to a successful and fulfilling life. Be prepared for the changing world of tomorrow. Explore the challenges and benefits of technology. Find out what it takes to make a difference in the world in your own unique way. The other alternative is to apply for a scholarship to attend the Genius Camp. You must be committed to attending for the full 2 days of the camp to be considered for a scholarship. This event is brought to you by KB Enterprises (Aust) Pty Ltd, a national school leadership and education consultancy, in partnership with Genius School and Entrepreneurs Institute. Genius School ignites the genius of every child, teenager and young adult, providing them the direction, opportunities and resources to live a fulfilling life of learning and earning. Entrepreneurs Institute is a leading entrepreneur education group with over two million members, founded by Social Entrepreneur and Futurist, Roger James Hamilton. The mission behind Entrepreneurs Institute is to empower and inspire entrepreneurs to follow their flow. Flow is one of the key concepts that will be discussed at Genius Camp. Karen believes every young person has the right to be successful. She is passionate about igniting the genius in every child to help them discover their inspiring future. Helping tweens, teens and young adults identify their natural talent and capabilities is a core component to the work she is involved in. This provides a great foundation on which to build essential skills to help them develop confidence to step up and engage with the world around them and to be more on purpose with the direction they take for their future opportunities. Karen is an educator, youth coach and mentor, and an accredited professional learning provider for classroom teachers across Australia. She is a registered teacher, fully qualified teacher librarian and a Blue Card holder. Karen is the Founder and Creative Director of KB Enterprises (Aust) Pty Ltd, an independent education consultancy committed to helping young people survive and thrive with confidence at school, work and life. 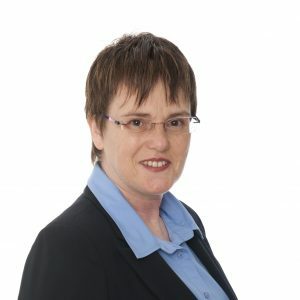 She is also the Founder and National Director of Eduwebinar Pty Ltd, a virtual professional learning platform providing teachers with access to current education initiatives and practices that help build their professional capabilities. She is one of 15 Genius School Global Educators and brings a wealth of knowledge and experience as an educator in the K-12 school sector to the Genius School education revolution. Disclaimer: All the information and resources at the Genius Camp are provided for instructional purposes only. Attendance at and completion of the Genius Camp does not guarantee individual outcomes will result in improved personal or academic performance. We work with local businesses who have a strong desire to invest in their community. When you sponsor a micro-camp, your investment directly impacts young people. 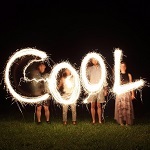 They experience a real difference in their personal lives and develop enterprise skills that connect with their passions to allow them to explore a purpose for their life. They are encouraged to think beyond what is taught in school, and explore opportunities beyond traditional jobs. They look at what is possible as a leader, as a young entrepreneur and explore examples of social enterprise. Offer a 2-day, fun-filled and action packed micro-camp for young people who are keen to engage in learning and identifying their purpose. Provide a personal development tools for each camper to identify their individual characteristics, aptitudes and capabilities for success. Support parents to support their kids in discovering an inspiring future. 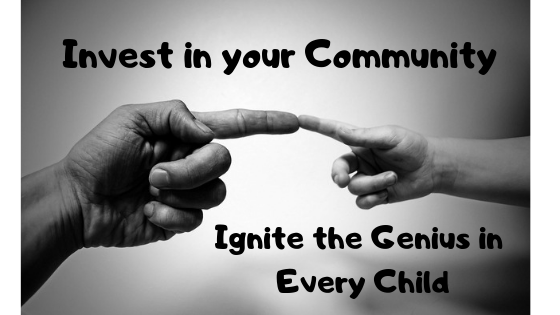 Contact Karen to find out how your business can be involved in igniting the genius in every child.